I never realized that you could do stained glass with paint, how funny is that! I’m probably not the only one who doesn’t know about this little trick. Wouldn’t it be nice to make your own, and put it in a window? Or what about painting an existing window in your house? Wouldn’t it be awesome to paint a stained glass piece of artwork, and see the expression on the faces of your friends when you tell them that you did it yourself. They would surely want to know how to do it for themselves! Or maybe, you want to team up with your best friend, and do a project together? Either way, stained glass is always beautiful. 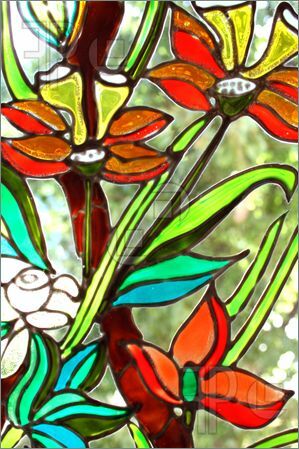 This entry was posted in decor and tagged Cozy Cottage, crafts, DIY cozy cottage, Do it yourself, Facebook, Glass, Handmade, homemade gift ideas, How to, Interior design, stained glass painting, Thanksgiving Decorations, Visual Arts on November 24, 2013 by reidenhol2013.